Join The Challenge, Earn Prizes! 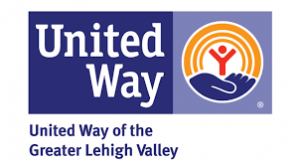 The Greater Valley YMCA is a volunteer-led, nonprofit, community organization. The Y is committed to strengthening community by positively changing lives every day. At each of our branches, we concentrate our efforts in three areas: Healthy Living, Youth Development, and Social Responsibility. And we do so in a way that upholds the Y’s traditional family values of Respect, Responsibility, Caring, and Honesty. For over 100 years, the Y has made tangible differences in the communities of Allentown, Bethlehem, Catasauqua, Easton, Forks, Nazareth, those comprising the Slate Belt region and the Lehigh Valley as a whole. Founded as individual YMCAs as early as 1897, the following branches of the Greater Valley Y merged together between 2010 and 2015: the Nazareth YMCA, the Suburban North Family YMCA, the Family YMCA of Easton, Phillipsburg & Vicinity and the Bethlehem YMCA. In 2014, the Forks YMCA Education Center was established. The Slate Belt branch was opened in 2015. In January 2017, the Allentown YMCA joined the Greater Valley YMCA. Congrats Greater Easton Development Partnership! We are proud to be serving the community alongside of you this summer providing a parks and free lunch program! Be watching for more details soon! A great day to celebrate with 125 of our friends. The 50th Annual Father Son Breakfast. The pool is closed for the rest of the night due to unforeseen circumstances. Sorry for any inconvenience. “Preschoolers are the FASTEST land mammals!” Join TINY RUNNERS (ages 3-7) for the Spring II session starting April 29th!